Nancy McGahey knows a thing or two about resolving an argument. She completed mediation training in 1988 in New Mexico and volunteered for a parent-teen mediation program. 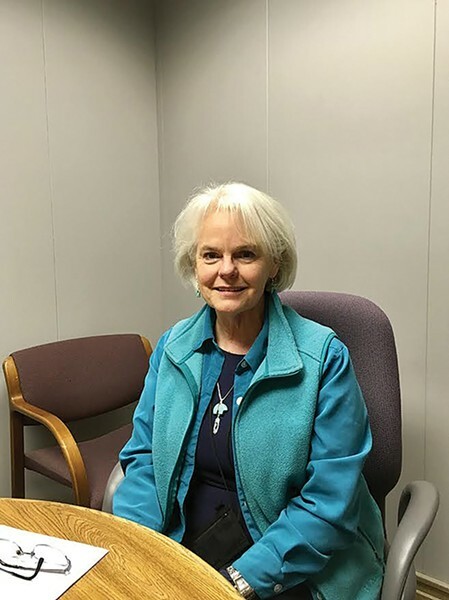 A decade later, she began volunteering at Utah Dispute Resolution, located in a basement floor office in the Law and Justice Center at 645 S. 200 East. In 2004, McGahey was hired as executive director for the center, which handles more than 1,000 disputes in the course of a year. Broadly, what is Utah Dispute Resolution? We are a small charitable nonprofit mediation center, and our mission is to serve the state of Utah. We have our main office here [in Salt Lake City and] we have an office in Ogden. We conduct mediations and we also provide education and training in conflict resolution and mediation skills. So you help people resolve their legal disputes outside the court system? Yes. They can do it without attorneys or with attorneys. The legal system has really embraced mediation as a way for people to resolve their own disputes. How it primarily differs from going to court is that the parties retain control over decisions. In a court, a judge would make a decision. In mediation, the mediator facilitates the communication and helps parties come to their own decisions. It's a voluntary process. Even when it's ordered—and it's increasingly ordered by courts, for family matters especially—the parties aren't ordered to reach an agreement. They can choose to end the process if they don't feel like they're being well served by it. That's the big difference. This is a process where people retain that control. And especially in matters that affect our personal lives, it's very empowering for people, and studies have shown that agreements reached through mediation are more readily followed than when there's an order of the court because people fashion those agreements based on their own needs and their own lives. Can you give an example of someone who might need your services? Just about anything can be mediated other than crimes. On one end of the spectrum, we have a youth program. For example, two students in the high school maybe argued over a boyfriend or something and they can come together and reach an agreement. Or we have neighbor disputes. Two neighbors may be arguing over a fence line. We had one case where they were in disagreement about where to put garbage cans on pickup day. On the other end of the spectrum, we mediate divorces, divorce modifications, parentage orders. We have a big family program that addresses that kind of thing. We also have cases that involve consumer-merchant disputes, where, maybe someone feels like they didn't receive the service that they had agreed to or thought they were purchasing. We receive a lot of requests from tenants wanting to mediate with their landlords over security deposits, or the apartment is not being fixed according to their expectations. Just about any kind of a dispute or conflict could come into mediation. There is an open house on April 27, from 5-8 p.m. What can attendees expect? It's really a celebration of having passed our 25th-year milestone anniversary, and we're inviting anyone to come and learn more about our process, meet our board of trustees, meet our staff, meet our volunteers. It's also to thank all of our volunteers and all the people who have contributed so much time and effort over these 25-plus years to make this organization what it is today. A little less than half of our funding comes from training. We provide public trainings, and we are one of the longest, continuously running court-approved provider for mediation training in the state. We do charge for those trainings and that constitutes a considerable portion of our revenue. Another 40-some percent of our revenue comes from private foundations. They're all local, Utah foundations that have just been very loyal and generous over time. And then we have a small amount that comes from contract work that we do. We are associated with a school here in Salt Lake and they contract with us to provide a coordinator or teacher that goes into the school and teaches mediation and oversees a peer mediation program. We do have some minimal fees for some of our programs. In some disputes, tensions must run pretty high. How do you handle that? I think anytime someone is in conflict, they can't separate their emotion from this. It can be very emotional. We do very good screening so we don't bring people into the same room if there has been a safety concern or there is so much intense fear that they won't be able to speak freely. We try to assess that in advance. It's even emotional in a landlord/tenant dispute. Someone might be losing their home and that's very frightening, or if someone felt they haven't received the service they expected from a business, they're angry about that. It is intense, but it's interesting how this process helps them to vent, feel understood, gives them a voice, and then once they do feel they've been understood and have a chance to articulate what's going on, it tends to reduce that level of intensity of that emotion and then they can start thinking more objectively about it.